This tutorial uses jQuery and Bootstrap. 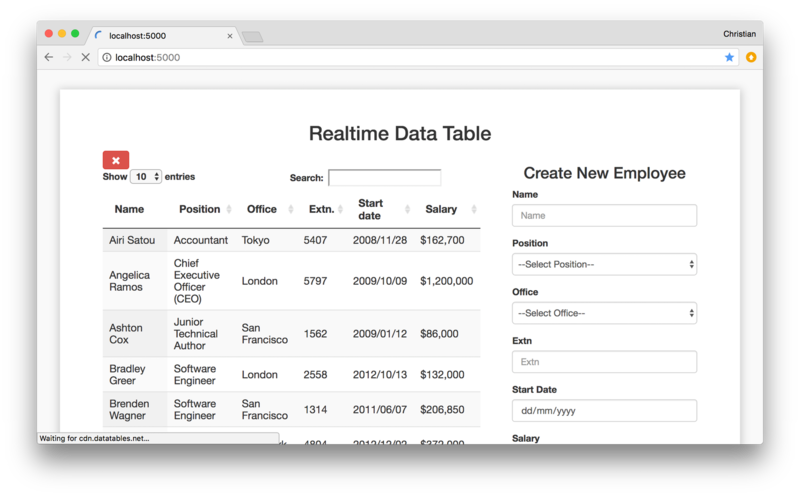 If you are building an app that handles extensive data, you might want to implement realtime tables at some point. Let’s take a content management system for instance. Large amounts of data are added and removed often, and we would like the changes to be available to consumers immediately. 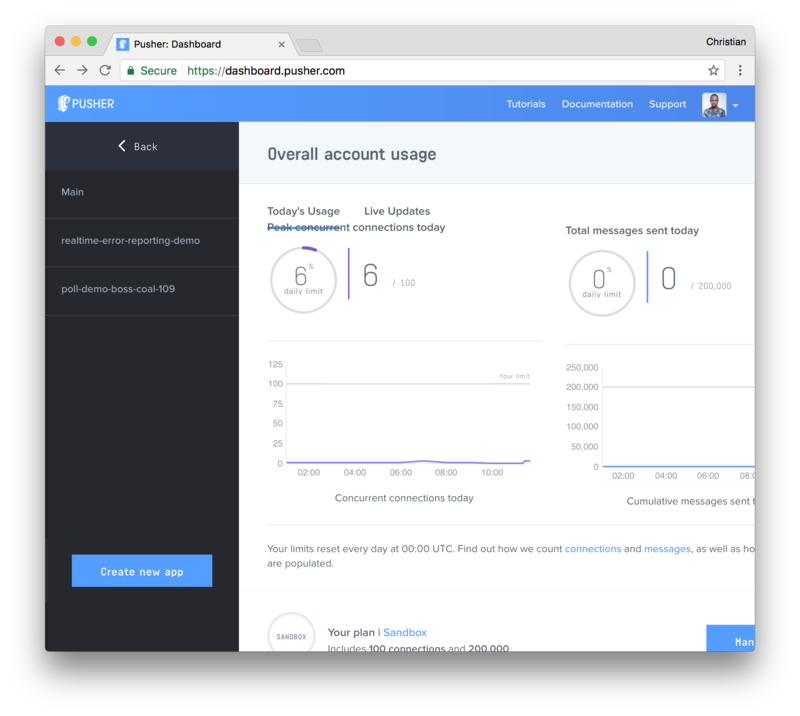 Pusher: A free realtime, easy to use pub/sub service. 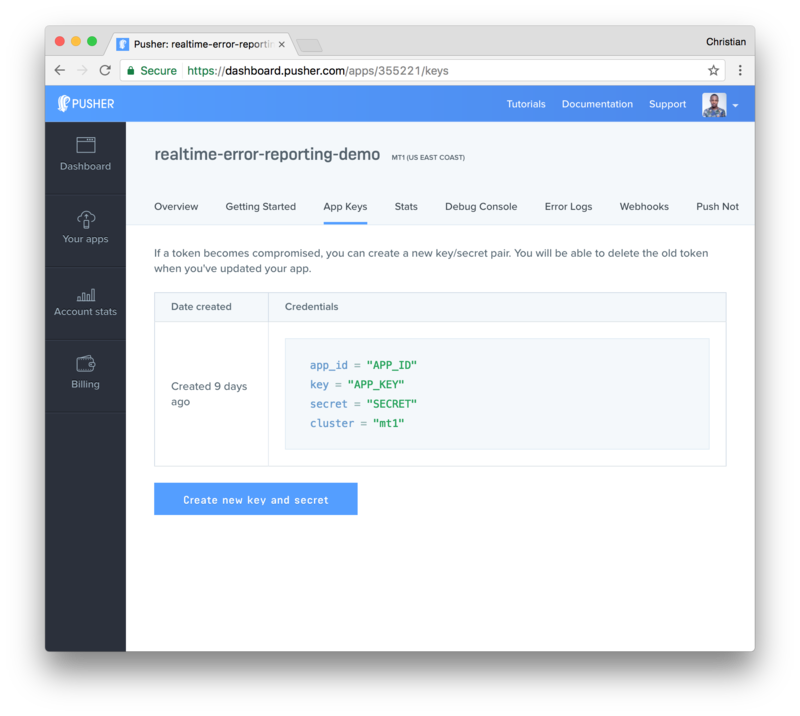 Pusher makes realtime as easy as using basic events. 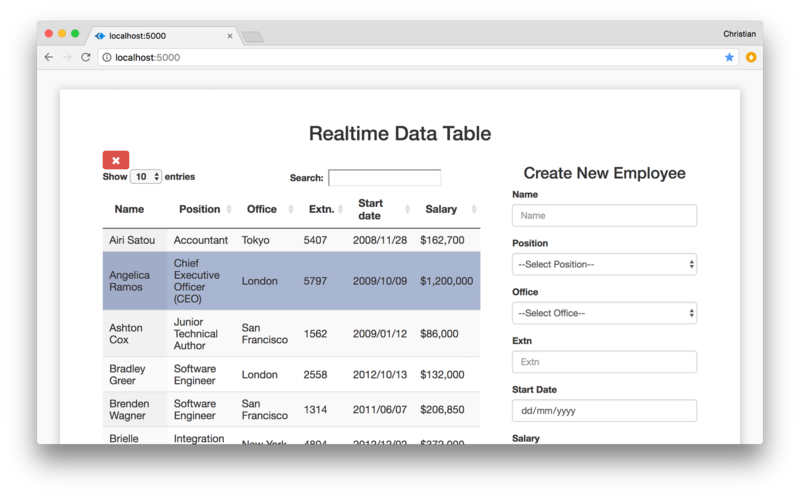 DataTables: A jQuery plug-in that employs progressive enhancement concepts to add advanced interaction controls to any HTML table. To create our table blueprint, we insert a table element in our page and, with jQuery, append the DataTable method to it. This will initialize all the built-in features of DataTables. The DataTable method takes an object as argument. The object has a data property which takes [dataSet](https://github.com/christiannwamba/pusher-realtime-jquery-datatable/blob/master/data.js) , an array of data that we intend to display on the table. We also include another property called columns and set its value to an array of objects with each object’s value serving as a column header for our table. We create a method called addRow() to append whatever data buildForm() returns. We then take our addRow() method which we built and bind it to a button using jQuery’s .click() method. When the button is clicked, addRow() automatically executes its functions on our table. We then proceed to bind selectRow() and removeRow() to their respective event triggers using jQuery’s .click() method as we did previously with addRow(). Express: A fast, lightweight, flexible framework for Node.js. bodyParser: A module that provides middle ware for extracting the entire body portion of an incoming request stream and exposes it on req.body as something easier to interface with. cors: A Node.js package that provides middleware that can be used to enable cross-origin resource sharing with different options. We then establish our connection with Pusher by creating a new Pusher instance. 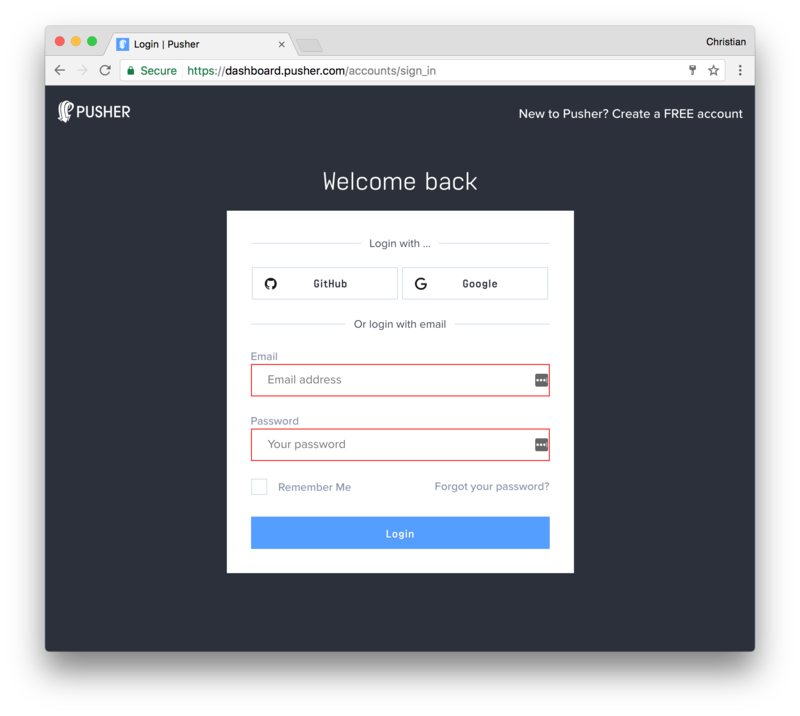 In our instance, we insert the free API key we get when signing up with Pusher. To ensure connection traffic is encrypted, we set encrypted to the Boolean true in our app. A server.js file is created; we then initialize Express after which we configure Express to support cross-origin resource sharing, encoded body and JSON. We then create a new Pusher instance which has an object containing our app ID, key, secret, cluster, and encryption preference. Next, we create a POST route and in it we use Pusher to trigger an event named new-record through a record channel. To get realtime updates on our table, in our script.js file (client side) we use Pusher’s subscribe() method to subscribe to our channel records. We then define a callback function that binds our event new-record and with it, our data. With this walk through, you should be able to build cross platform realtime apps with ease. 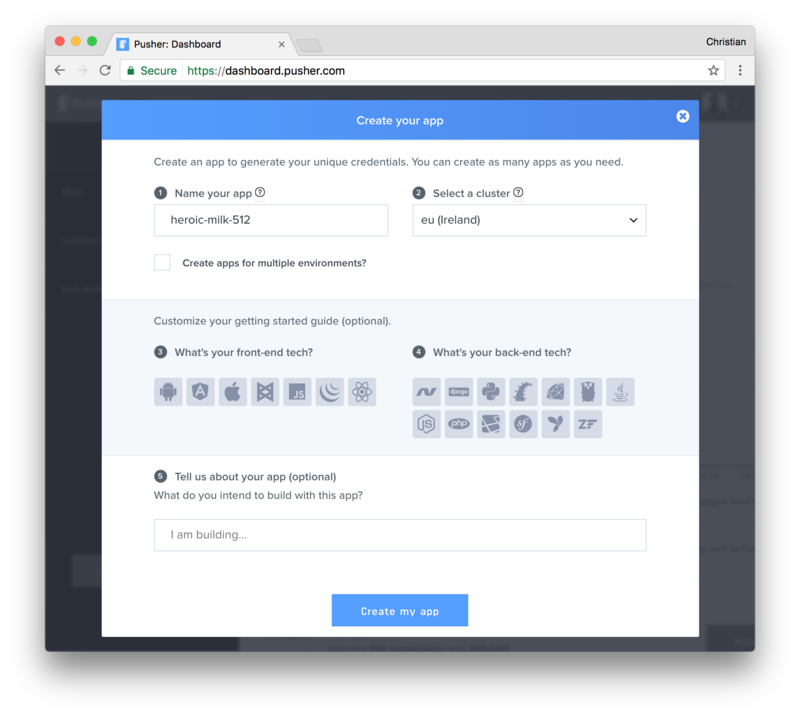 Other DataTables and Pusher features are available but their use depends on the requirements of your app. You can have a look at the DataTables documentation and while you’re at it, take a glance at Pusher’s as well. For a deeper comprehension of the project, feel free to explore further on GitHub.